A record number of rhinos were slaughtered for their horns in South Africa last year, and fears are growing for the survival of the species in the wild. An Independent National Electoral Commission official in Nigeria was killed in a house fire along with his wife and two children, Agence France-Presse reported Friday. Congo-Brazzaville's President Denis Sassou N'Guesso has said told the BBC he is in favour of changing his country's constitution. [Capital FM] Nairobi -Somalia's Al Shabaab has claimed responsibility for Thursday's terror attack at the Garissa University College that left at least 20 dead and scores injured. Video has emerged showing students fleeing a Kenyan university as security forces battled al-Shabab militants during a siege in which 147 people died. Al-Shabab militants attacked a college in Garissa, Kenya, killing nearly 150 people, wounding about 80 and holding others hostage. It was reminiscent of their 2013 attack on a Nairobi shopping mall. [The Star] The Ethics and Anti- Corruption commission chairman Mumo Matemu yesterday told the National Assembly he was warned by influential individuals to go slow on Anglo leasing scandal among other high profile cases. Country was banned from taking part in the 2017, 2019 events after refusing to host 2015 one over Ebola fears. [The Star] Garissa -The death toll in the attack by al Shabaab on a university in Garissa on Thursday has risen to 147 and the siege has ended, the country's disaster response agency said. Zhou Yongkang, a former security chief and member of apex political body, charged with bribery and abuse of power. "They're always facing down, and they're shot in the heads, around the back," a St. John's ambulance worker says of the victims of the Al-Shabaab attack in Garissa that left 147 dead. What is Al-Shabaab, and what does it want? The once-ragtag al Qaeda affiliate has grown into a brutal powerhouse. Women elected to Libya's parliament visited Washington, D.C., recently to talk about the political chaos in the country and the erosion of women's rights. NPR's Melissa Block talks with Max Siollun, a Nigerian historian, about Nigeria's new president, Muhammadu Buhari. He is a former dictator who ruled Nigeria for 20 months in the 1980s. How can Al-Shabaab be defeated? The terrorist group Al-Shabaab has claimed an attack on Garissa University College in eastern Kenya, in which many people have been killed and still more taken hostage. Three gender activists held by authorities underlines dissent of any type is unwelcome in China, lawyers say. Two Mozambican policemen have been arrested on charges of trafficking ivory in the northern province of Cabo Delgado. Measures must be taken to make Mozambique resilient to extreme weather events which may be linked to climate change, the Minister of Land, Environment and Rural Development, Celso Correia, declared in Maputo on Wednesday. The governor of Maputo province, Raimundo Diomba, on Tuesday urged activists involved in the fight against HIV/AIDS to improve their methods of educating the various segments of the population, and making them aware of the threat. Australian company Triton Minerals has signed an agreement to establish a strategic alliance for Mozambique with the AMG Mining AG group through its subsidiary GK Ancuabe Graphite Mine, the company said in a statement issued Tuesday. The U. S. government on Wednesday pledged to offer Mozambique 300 million U.S. dollars for education and health sectors. Mozambique should cut excessive subsidies to profit-making multinationals in order to avoid a "bubble economy", Mozambican economist Dr Carlos Castel-Branco said Tuesday, as reported by daily newspaper O País. Kenya's interior ministry has said that more than 70 people were killed after Al-Shabaab militants stormed Garissa university. A woman who is 37 weeks pregnant was injured when the car she was travelling in overturned outside Ladysmith. The number of dead is officially at 70 but this is expected to rise as the siege rages on after al-Shabaab attacked students while they were asleep in their hostels. Kenya interior minister says about 500 out of 815 students have been accounted for. Independent Media's print publications continue to perform extremely well, the latest AMPS readership figures show. Kenyan troops have killed two gunmen from a gang of fighters from Somalia's Shabaab Islamists who stormed Garissa university. Masked gunmen from Al Shabab stormed a Kenyan university in Garissa as students were sleeping, hurling grenades and shooting dead at least 70 people. A man believed by Kenyan police to be the mastermind behind the attack on the Garissa University College is a Kenyan citizen and was a former school teacher and principal. Masked gunmen from Somalia's Shebab Islamist group stormed a Kenyan university Thursday as students were sleeping, hurling grenades and shooting dead at least 15 people before taking Christians hostage. There have been several beheadings in the terrorist attack on the Garissa University College in Kenya, survivors of the attack say. A white Zimbabwean farmer who owns a game range in Beitbridge claims he has lost close to $1m in revenue while fighting farm invaders. President Jacob Zuma will host Zimbabwe's Robert Mugabe on a state visit to South Africa. Kenyan President Uhuru Kenyatta has vowed to speed up the recruitment of more police after Thursday's deadly attack. Parliament’s international relations portfolio committee has condemned the attack on a Kenyan university which left at least 15 people dead. What’s up with the price of bread? 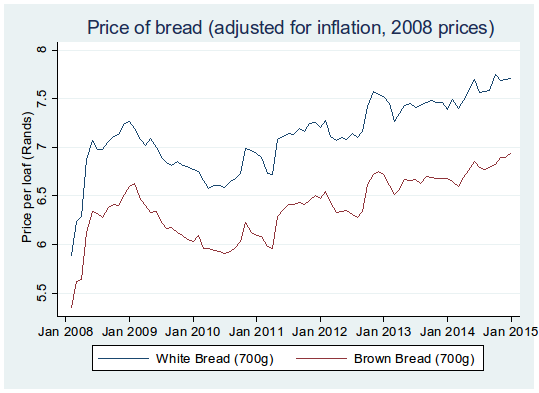 Was has the price of bread nearly risen twice as fast as the inflation rate in 2014? And why is brown bread cheaper than white bread? Two men and two women are due in court next week for allegedly stealing a new vehicle from a North West car dealership. 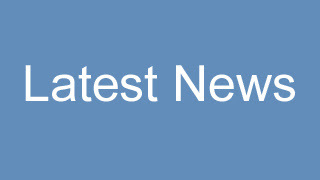 Three men have been sentenced to life in prison for the contract murder of a taxi operator, North West police said. A Gauteng flying squad member is on the run after two of his colleagues who were arrested for armed robbery‚ fingered him as one of their accomplices. Nine Chadian soldiers were killed and 16 wounded after being ambushed by Boko Haram fighters in northeastern Nigeria. Kenya’s president Uhuru Kenyatta says the recruitment of 10 000 new police officers would be speeded up after Somali Islamist gunmen attacked a university in Garissa. State departments, especially the Gauteng Liquor board habitually ignore court orders, a Pretoria lawyer says. Twio of the three men allegedly involved in the murder of a Parlock man, have been granted bail. KZN authorities are scrambling to find a suitable place for foreigners displaced after violence erupted in Isipingo. Unroadworthy vehicles found on Pretoria roads during the Easter period will be diverted to traffic testing centres. eThekwini residents should brace themselves for financial pain in the year ahead. A farm manager and his employee are recovering in the Bhisho hospital after being attacked on their farm in Kei Road outside East London. Tunisia says it plans to reopen a consulate in Syria and offered to invite the Syrian ambassador back to Tunisia three years after severing diplomatic relations with Damascus. Twenty radio mast engineers employed by MTN in Durban secured an interdict against the company via telephone. Police have offered a R650 000 reward for the person suspected to be the mastermind behind the Garissa University College attack in Garissa, Kenya. The Tema Regional Police Command on Tuesday arrested two suspected armed robbers who attempted robbing an unsuspecting bank customer. Israeli Forces Detain Member of Legislative Council at Her Homein Ramallah. New York, US (PANA) - The UN on Thursday launched an employment "Call to Action", inviting businesses to make concrete commitments to employ people with autism. LA KASBAH (TAP) - Tunisia will evacuate its nationals from Yemen considering the delicate security situation in the country, Foreign Minister Taieb Baccouche announced. The Ghana Grid Company (GRIDCo) is making efforts to get assistance from neighbouring Ivory Coast to meet the country's power deficit during the Easter period. GNC Political and Foreign Affairs Discuss Issues Relevant to its Competence. ÂI want to be free off all the drama. I might use wigs when I'm acting, but on a normal day, I'm happy with the natural look,Â said Liz. Vera has now added another feather to her list of successes as she joins The Nairobian Takeover parties that will feature Miss Big Bum contests. SERENGETI District Council is planning to introduce onion farming as an additional cash crop to boost income of farmers, thus help to alleviate poverty in the area. Constantly checking your partner's phone and sometimes even going as far as accusing them of doing something behind your back hurts you, your partner and the relationship. Interior Cabinet Secretary Joseph Nkaissery says Government to provide 4 helicopters to airlift the critically injured and 10 buses to ferry 300 students to their respective home counties after Garissa University College terrorist attack. The Government has set up a disaster operations base at Nyayo Stadium in Nairobi. Wanted for Kenya attack in Garissa: Who is Mohamed Kuno? A week ago, Egypt signed a tripartite agreement bringing aboard Sudan. Huddah Monroe and Vera Sidika be gone! There are new socialites in town and they are itching to strip it. >Watch out what you eat because virtually everything that you consume could kill you, warns the World Health Organisation (Who). Somali President Hassan Sheikh Mohamud urges stronger security cooperation with Kenyan in fighting the terrorists. Musalia Mudavadi and Canada's Foreign Affairs Minister, Rob Nicholson, have sent condolence messages to Garissa massacre victims' families and condemn the attack. THE Association of Local Authorities of Tanzania (ALAT), will for the first time present Awards to outstanding Mayors and Chairpersons of Urban and District Councils, in this year’s 31st annual meeting. THE National Electoral Commission (NEC) has postponed indefinitely the referendum for the Proposed Constitution earlier planned for April 30. Self-proclaimed chairman of Maendeleo ya Wanaume, Nderitu Njoka, has said he is the one who invited US President Barack Obama to Kenya and not President Uhuru Kenyatta. Religious leaders in Garissa have strongly condemned the Thursday morning attack that claimed 147 livess and left scores injured at the Garissa University College. >At least 147 Kenyan students were massacred yesterday when Somalia’s Al-Shabaab militants attacked a university, the interior minister said. I have friends who cannot last a full month with a house help. They are forever in the process of acquiring a new girl, releasing the old one or training the new one. Usually, the longer the relationship lasts, the more complex the problems become. Kenya National Union of Teachers (KNUT) has condemned Thursday's Garissa attack which left 147 innocent students dead and over 70 wounded. Assault on Garissa college followed intelligence reports that there was an imminent attack on a vital installation in the country. The way you treat relaxed hair is not the way you treat natural hair. >The National Electoral Commission (NEC) has called off the referendum on the Proposed Constitution scheduled for April 30. A new date is to be announced at a later date. Parents who frequently use disinfecting cleaning products that contain bleach around the house could be making their kids sick.